Thank you for choosing Remote Medical International. For information regarding REMT curriculum, format, certifications, prerequisites, and more, please visit our REMT home page. Textbooks: Students are required to purchase Emergency Care (13th Edition), which can be purchased here on Amazon. Students are not required or expected to read textbooks before the course start date. 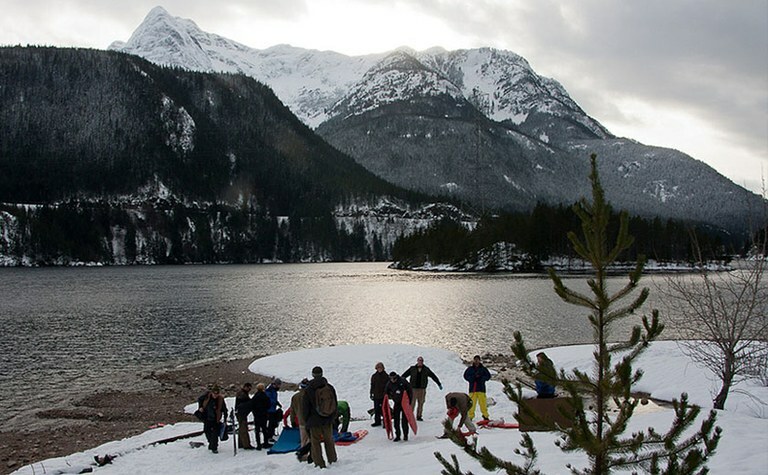 Facility Information: The REMT is held at the North Cascades Environmental Learning Center located in Lake Diablo, Washington in the middle of North Cascades National Park. Lodging: The Learning Center is ADA-accessible with three lodges for housing students and instructors. Each lodge has shared gender-specific bathrooms with showers. The bedrooms vary from 2-3 twin beds per room. Two lodges have a lounge area with sofas, chairs, and a kitchenette. Meals: Breakfast, lunch, and dinner are provided every day. The Learning Center tries to obtain as many ingredients as possible from local growers and suppliers. They can accommodate any dietary need/restriction with advanced notice. Transportation: Lake Diablo is approximately 2.5 hours (125 miles) northeast of Seattle. The Seattle-Tacoma International Airport (SEA-TAC) is the closest major airport to Lake Diablo. Students are responsible for arranging transportation to and from the course. For more information on our shuttle service, please see our Training & Certification FAQs. Workout Facilities: There are a series of trails connected to the Learning Center that are great for running or hiking. Cell Phone Service: None; landline only. For more information on course details, please call Remote Medical International at +1 (206) 686-4878 or send an email to info@remotemedical.com.